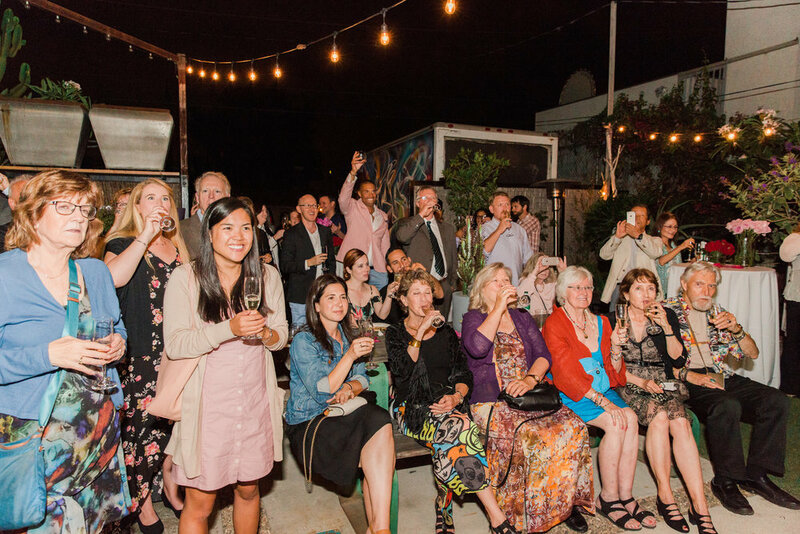 Big Red Sun’s Rose Avenue space is the perfect setting for weddings, receptions, birthday parties, engagement parties, corporate meetings, launch parties, pop-up shops, photo shoots, art shows, garden parties, and more! Outside of our residential and commercial clientele, Big Red Sun also offers one-of-a-kind event production services. 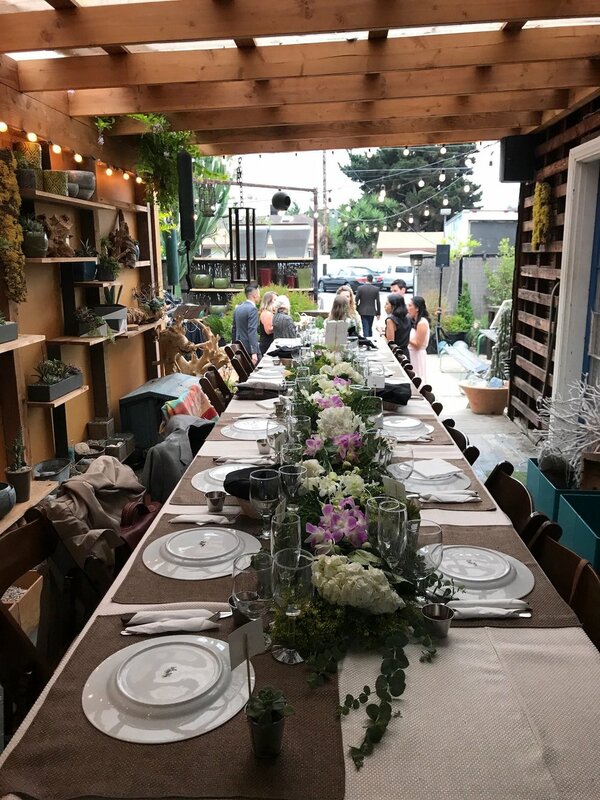 We offer the same unique approach to events as we do to our landscape design services, designing and tailoring events with longevity in mind. Our growing list of clients include: Fred Segal, Ron Herman, Equator Books, Rose Cafe, environmental leaders of the Natural Resources Defense Council and Global Green, Linda Loudermilk, Hotel San Jose, as well as celebrity clientele. The space comfortably accommodates up to 100 guests for standing events and hosts up to 40 guests for seated dining or ceremony service indoors and outdoors. The venue includes two native garden landscapes fully equipped with indoor sound and an outdoor stage that is perfect for everything from film screenings to live entertainment.